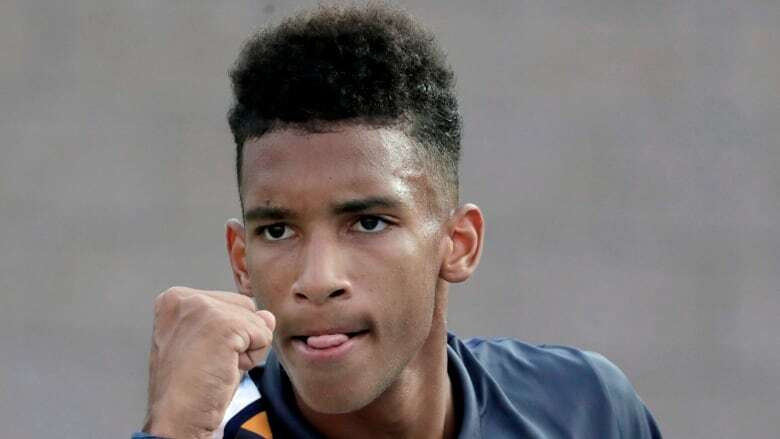 Canadian teenager Felix Auger-Aliassime cruised into the quarter-finals of the Rio Open by beating Chile's Christian Garin 7-5, 6-4 in second-round action on Wednesday night. Auger-Aliassime won 76 per cent of his first-service points and converted on 5-of-14 break points. The 18-year-old from Montreal got off to a rocky start in the second set by losing his first service game, but he replied with a pair of breaks to go up 4-3 against his 91st-ranked opponent. Auger-Aliassime and Garin exchanged two breaks apiece in the middle of the first set before the Canadian broke Garin again for a 6-5 lead, then held serve to win. The match lasted one hour 46 minutes. Auger-Aliassime, ranked No. 104, was coming off the biggest win of his career on Tuesday when he upset World No. 16 Fabio Fognini of Italy in the first round. Fognini was the second seed at the ATP 500-level tournament and is the highest ranked player to lose to Auger-Aliassime. The Canadian has two career victories against top-20 players. He also defeated then No. 18 Lucas Pouille in the opening round of last year's Rogers Cup in Toronto. Auger-Aliassime will play Spain's Jaume Munar in the Rio quarter-finals. The 21-year-old Munar is ranked No. 66.